The wealth of documentation about my great-grandfather James W. Freeman that I have inherited recently reveals great clarity on his life at sea. Family tradition provided he served in the Merchant Marine. While it is correct that he served at sea for some time in a civilian capacity, before that he enlisted in the United States Navy during the Great War. Among his papers was a record of his enlistment and discharge certificate. Fig 1. James W. Freeman’s U.S. Naval Enlistment Record (reverse side of discharge cert.) Image Source: Author’s Collection. Fig 2. My great-grandfather James Wallace Freeman. He was born 20 Feb 1896 in Yakima, Washington. Image Source: Author’s Collection. Fig 3. Coppersmith Shop is U.S. Navy Yard. Image Source: U.S. Naval History Heritage and Command. According to his Certificate of War Service, he did spend sometime aboard the U.S.S. Ozark (BM-7), formerly the U.S.S. Arkansas. Launched 10 Nov 1900 and commissioned by the navy 28 Oct 1902, Ozark was classified as a “Battle Monitor,” responsible for cruising and patrolling the coastal waters. The ship could complement up to 220 men and was outfitted with 8 large guns. Upon the declaration of War, Ozark joined Submarine Division 6 of the Atlantic Fleet and cruised to Tampico, Mexico, ordered to cruise and defend the coastline. A year later, Ozark sailed to New Orleans and assisted in defending the waters from Key West to the Panama Canal Zone. Fig 5. James Wallace Freeman’s Discharge Certificate from U.S. Navy, 29 Aug 1919. Image Source: Author’s Collection. James was honorably discharged from the Navy 29 Aug 1919 at the Mare Island Naval Base, near the city of Vallejo, California. After a short period of leave, he continued the seafaring life, in a civilian capacity. On October 6 1919, he applied for a Citizen Seamen’s Identification Card at the Customs House in San Francisco after arriving on the merchant vessel S.S. Alliance. These ID cards are very much comparable to Seamen’s Protection Certificates issued by the U.S. Government until 1871, because they provided proof of citizenship. On 3 Sep 1918, the Federal Government mandated all seamen embarking from U.S. ports were required to apply for an ID card and permission to sail from the Collector of Customs [T.D. 37753]. Seamen’s ID cards included such information such as the seamen’s full name, nationality, date of birth, birthplace and birthplace of parents, naturalization information (James Freeman’s ID card provides his U.S. Navy discharge number as proof of citizenship) and a brief physical description. These ID cards are in custody of the National Archives and Collected with NARA Record Group 41, Bureau of Marine Inspection and Navigation. Fig 6. Citizen Seamen’s ID Card for James Wallace Freeman. Image Source: Author’s Collection. Around January 1920, James Freeman was admitted to the Marine Hospital in San Francisco. The nature of his admittance is unknown, but his stay may have lasted several months because he made no voyages the year of 1920 and his ID card has stamps from immigration officers in England dated 1921. There are multiple crew manifests listing James W Freeman, which I located through Ancestry.com. The crew manifests in conjunction with discharge slips and other documents have allowed me to reconstruct his voyage history and life at sea. Fig 7. James W. Freeman’s Discharge Slips for voyages on the West Nosska. Image Source: Author’s Collection. James W. Freeman completed seven voyages from 1922 to 1923 on the merchant vessel West Nosska that carried cargo and supplied between the East Coast of the United States and England. James carried his knowledge of marine machinery from the Navy onto civilian ships. The documents stated that he served in the capacity of an assistant engineer. Upon completing his final voyage in Jun 1923, he had ascended from 3rd assistant to 1st assistant engineer. Fig 8. S.S. West Nosska. Image Source: Statue of Liberty – Ellis Island Foundation Inc. These breakthroughs in my great-grandfather’s seafaring career were made possible because my grandmother had held on to these documents. Using the wide array of sources has given me a much clearer picture and chronology of his life at sea. Having served in the Navy, I now have confirmation that he was a veteran of WWI. This is much different from the original notion that he was always a Merchant Mariner, which did not receive recognition for their role in the military until 1988 and even then it was mostly in part due to the Merchant Marine activity in WWII. But before I inherited any of these documents, I did locate photographs of my great-grandfather in what I now know to be navy uniform and a certificate of appreciation addressed from the White House, dated 1964 shortly after James Wallace Freeman died, that acknowledged his service as a veteran. Together, all of these sources has brought this part of his life full circle. “Ozark II (Monitor No.7),” Naval History and Heritage Command (http://www.history.navy.mil/research/histories/ship-histories/danfs/o/ozark-ii.html: accessed 30 May 2016); Remo, “USS Arkansas (BM-7), Naval Warfare, posted 10 Jan 2012 (http://navalwarfare.blogspot.com/2012/01/uss-arkansas-bm-7.html: accessed 30 May 2016). United States Department of Treasury “Treasury Decisions Under Customs and Other Laws,” Volume 35 (Washington, D.C.: Government Printing Office, 1919), 76. Accessed on Google Books. “1920 United States Federal Census,” database with images, Ancestry (Ancestry.com: accessed 30 May 2016). Assembly District 31, San Francisco, California; Roll T625_136, Enumeration Dist. 367, page 1B. One might think that such sensitive information about our ancestors would be kept under heavy restrictions. But to my surprise, I found that three microfilms of patient registers for Massachusetts insane hospitals, asylums, and schools for persons with disabilities, from the Massachusetts State Archives, are available to everyone on the internet. These records have been available to researchers on microfilm at the State Archives for many years. However, the access to these records online is not immediately apparent. Almost all digital images and indexed records on familysearch.org are catalogued under “Historical Record Collections.” You won’t find these records here. Instead, they are accessible through the Microfilm Catalog. When you click on an entry in the Family History Library (FHL) microfilm catalog, scroll down the page to see a roll list. On the right, there may or may not be a camera icon next to the icon of a film reel. The presence of a camera icon means that this film is available digitally. Clicking on the camera icon will bring you the image browser, an interface you may or may not be familiar with through previous research. How Committed – This column indicates which court ordered that they be committed to an institution. How Supported – This indicates whether the state, town, or private party paid for their care and the date on which they agreed to provide it. Remarks – This column provides information on whether individual’s mental health improved or not. The clerk usually gave the abbreviations “M. Imp.” for Much Improved or “N. Imp.” for Not Improved. This column would also provide the cause of death if the individual was deceased. If the person had been removed to the custody of another institution, it would indicate the name of the place to which they were removed. “It is very important to note that per Massachusetts state laws, access to the records of state institutions may be restricted to preserve the privacy of individuals at the institution. Medical (Massachusetts General Law4§7(26)c, MGL111§70E, MGL123§36), mental health (MGL123§36), personal (MGL4§7(26)c, o, p, MGL6A§1), evaluative (MGL66A§1), and criminal (MGL4§7(26)c, MGL6§167) information is restricted according to state laws. Criminal offender information is open upon the death of the individual, but medical and mental health records remain restricted. Researchers MUST contact the Archives before planning a visit to use these records in order to determine what restrictions will apply. The Massachusetts Archives holds the records of a variety of state institutions, including prisons, almshouses, mental health facilities, public hospitals and sanatoriums, and reform schools. These records were created by a number of state agencies, including corrections, youth services, public health, public welfare, and mental health. The records vary from institution to institution, but can include records such as case files and histories, records of admissions and discharges, and other records that provide information on the lives and families of people at these institutions. Please contact the Archives to determine whether records are held for a specific institution and time frame. Patient files for those admitted to State Institutions are at the State Archives or the Department of Mental Health. Linda Hall-Little’s blog post “52 Ancestors Weeks #29 – Update of the ‘Insane’” explains her own experience using Massachusetts mental health records for genealogical research and is an excellent example of how researchers can find more clues. Taunton State Hospital. Image Source: Library of Congress. A personal estimate would indicate that about 85,000 names are within these records. A further study of these patient registers could provide very detailed insight into not only one’s family history, but also the early history of social welfare policies in Massachusetts. These records could serve as a great indexing project for a society, but I’d still leave it up to the genealogical community to best decide what happens to these records. There may be sensitive information in here that might not sit well with some descendants. *According to genealogist Charlene Sokal, not all films have been digitized or are in custody of FamilySearch. Some records are missing/unavailable all together. If a particular institution does not appear in my finding aid, check WorldCat for other patient registers that may be available in the FHL Microfilm Catalog for interlibrary loan. Massachusetts Genealogical Council is negotiating with FamilySearch to index the films that have been digitized. For more information about Massachusetts’ history regarding public responsibility for persons with disabilities “State Hospitals of Massachusetts – Historical Overview.” 1856.org (http://www.1856.org/historicalOverview.html accessed 29 May 2016). “Film # 007833946,” database with images, FamilySearch (https://familysearch.org/ark:/61903/3:1:3Q9M-CS3J-D4NL: accessed 29 May 2016,) Record of Persons Supported at Worcester Insane Hospital, Register No.22, 1902-1907, page 1. Few names are as robustly German in my family tree as that of my 3x great-grandmother Hermine Hiegersell. She arrived in America with her husband Friedrich Fleischhauer and three children in 1890 after a tedious voyage from Bremen, Germany to Ellis Island. Soon after their arrival, Friedrich and Hermine settled in the borough of Brooklyn, New York. The majority of their lives in America was spent at 1188 Hancock Street. My previous post “Fleshing out the details of the Fleischhauers [part 1]” focused on the origins of the family business as thermometer makers. I know quite a bit about Hermine’s son Franz Emil, who is my 2nd great-grandfather and a talented glassblower, but details of the lives of his parents and three sisters remained in obscurity. Discovering that Hermine’s maiden name was Hiegersell came from two sources, the death certificate of her son, Franz Emil, and a death notice in the local newspaper. Brooklyn Daily Eagle, Monday, 24 Sep 1923. Image Source: Fulton History. The research became more exciting because I stumbled upon another clue about Hermine while searching for other ancestors in The New York Times. Newspapers will often list the estates that were appraised and probated in the local court. In the case of New York, wills and estates are probated at the County Surrogate’s Courts. The estate of Hermine Fleischhauer is listed under Kings County, same as Brooklyn, and the appraisal of the estates proceeding lists the names of her four surviving children. The big clue that came from this sources was that two of her daughters were identified by their married names, Anna Rattray and Dorothy Minder. This immediately opened up new research directions. Ida Frances Fleischhauer, the eldest sister, had not married. The executor was Anna’s husband, Claude W. Rattray. Anna and Claude sat under my nose while they lived at 1188 Hancock Street with Friedrich and Hermine. Little did I think of it when I located the 1920 Census schedule for Friedrich and Hermine Fleischhauer that showed Claude and Anna resided under the same roof, but now a piece of the family history had come full circle. For a couple days, I gathered sources on the Rattray family [more about them in the next post]. The challenge was finding Dorothy Minder. No one with that name or genealogical profile was surfacing through research. Before I became too carried away with flurries of internet searches, I reminded myself that newspapers often published inaccuracies regarding names and considered that Hermine’s original probate records might hold the correct information for her daughter Dorothy. Fortunately, I evaded the long waits and difficulty associated with requesting records from city offices to get the probate records for Hermine and once again I tip my hat to FamilySearch.org for having digitized the Kings County, New York Estate Files, originally held by the Clerk of the Surrogate Court, from 1866-1923. I felt even luckier because her date of death and probate just made the cut off point! Daughter Dorothy’s married name was not Minder, but Mohrmann. At the time of probate hearing for Hermine, Dorothy Mohrmann lived at Windsor Street in Bound Brook, New Jersey. In her will, she bequeathed the family burial plot, located at the Lutheran Cemetery, Middle Village, Long Island, to her daughter Anna L. Rattray. Hermine wrote her will 12 May 1921 and did not name her spouse Friedrich. The absence of Friedrich could mean two things: they were divorced or widowed. However, based on the fact they were married in 1920, the conclusion that Hermine was a widow seemed more likely. Since I had enough proof to assume that Friedrich’s predeceased Hermine, I looked in Kings County Estate Files for his will and probate. My search turned up an entry dated 1921 for Frederick Leonhard Fleischhauer and when the first image fully loaded on my screen, I knew I had a match. Son-in-law Claude Williams Rattray was also named executor of his estate. Estate File of Frederick Leonhard Fleischhauer , Kings County Surrogate’s Court. FIRST: I direct that all my debts, funeral and testamentary expenses shall by paid as soon as they conveniently may be paid after my decease. SECOND: I give and bequeath unto my beloved daughter, Ida Frieda Fleischhauer, all of the machines, instruments, standards, fixtures, tools, implements and appliances of every nature and description of which I die possessed, used by me in connection with my business of manufacturing Hydrometers and Thermometers, which business is conducted by me at my residences at 1188 Hancock Street, Borough of Brooklyn, City of New York, or where else same may be at the time of my death, as well as the goodwill of said business, trade marks, trade name thereof, contracts and everything connected therewith, and if my daughter so desires, to continue to use the name under which my said business shall then be conducted, for here own use and behoof forever. In the event that my said daughter shale predecease me, then this bequest shall be and becomes part of my residuary estate. THIRD: All the rest, residue and remainder of my estate, both real and personal, and wherever situated, included my interest in the burial plot in Lutheran Cemetery, Middle Village, Long Island, I give, devise and bequeath to my beloved wife, Hermine Fleischhauer, for her own use and behoof forever. In the event that my said wife, Hermine Fleischhauer, shall predecease me, then I devise and bequeath my residuary estate as follows: the burial plot at Lutheran Cemetery, Middle Village, Long Island, to my beloved daughter, Anna L. Rattray, the remainder of my residuary estate or the proceeds thereof to my beloved children, Frank Fleischhauer, Ida Frieda Fleischhauer, Anna L. Rattray and Dorothy Fleischhauer, share and share alike, for their and each ot their own use and behoof forever, and it either of any of them shall predecease me, or should die after my death but before the distribution of my said estate, leaving issue, then the issue of such deceased child or children shall be entitled to received the share its of their parent would have received had he or she been living, and if there be no issue then such share of the child of children as deceased as deceased shall be paid to the surviving child or divided equally among the surviving children, as the case may be. FOURTH: I hereby nominate, constitute and appoint my son-in-law, Claude Williams Rattray, executor of this, my last Will and Testament, and I order and direct that my said executor shall not be required to give bonds conditions for the faithful performances of his duties. FIFTH: I hereby authorize and empower my executor to sell and convey any and all of my estate, both real and personal, of which I may die seized or possessed or which my said executor may acquire hereunder (except such as has been specifically devised and bequeathed herein) at such times, upon such terms, in such manner and for such price, and either at public or private sale, and either in whole or in part, as to him may seem most advisable and proper, and to transfer the same and execute and deliver and give good and sufficient deeds of conveyance, bills of sale and/or proper documents therefor to any purchaser thereof. Seemingly, It would appear that I have preferred my daughter, Ida Frieda Fleischhauer, over my son and other daughters, but in making the bequest of my business to my said daughter, Ida Frieda Fleischhauer, I have taken into consideration that my said daughter is entirely familiar with the business, has worked faithfully in my behalf and it is but just and proper that she reap the benefits for her years of service, which so far have been inadequately compensated. SEVENTH: I hereby revoke all other Wills and codicils by me heretofore made. Signed, sealed, published, and declared by the Testator as and for his last Will and Testament, in the presence of us and each of us, who in his presence and in the presence of each other and at his request have hereunto subscribed our names as witnesses thereto at the end of the will. FIRST: I direct that all my just debts, funeral and testamentary expenses shall be paid as soon as they conveniently may be paid after my decease. SECOND: I give and bequeath all of my house-hold furniture of every nature and description, including paintings, rugs, bricabrac, glassware, china, silverware and furnishings of every nature and description contained in my residence at No.1188 Hancock Street, Borough of Brooklyn, City of New York, or in any other residence which I may possess at the time of my decease, to my beloved daughter, Ida Frieda Fleischhauer, for her own use and behoof forever. THIRD: I give, devise and bequeath my interest in the burial plot in Lutheran Cemetery, Middle Village, Long Island, unto my beloved daughter, Anna L. Rattray, absolutely and forever. FOURTH: All the rest, residue and remainder of my estate, both real and personal, and wheresoever, situated, I give devise and bequeath to my be beloved children, Frank Fleischhauer, Ida Frieda Fleischhauer, Anna L. Rattray and Dorothy Mohrmann, share and share alike, for their and each of their own use and behoof forever, and if either or any of them shall predecease me, or should die after my death but before the distribution of my said estate, leaving issue, then the issue of such deceased child or children shall be entitled to receive the share its or their parent would have received had he or she been living, and if there be no issue then such share of the child or children so deceased shall go to the surviving child or divided equally among the surviving children, as the case may be. FIFTH: I hereby nominate, constitute and appoint my son-in-law, Claude Williams Rattray, executor of this, my last Will and Testament, and I order and direct that my said executor shall not be required to give bonds conditioned for the faithful performance of his duties. SIXTH: I hereby authorize and empower my executor to sell and convey any and all of my estate, both real and personal, of which I may die seized or possessed or which my said executor may acquire hereunder (except such as had been specifically devised and bequeathed herein) at such time, upon such terms, in such manner and fro such prices, and either at public or private sale, and either in whole or in part, as to him may seem most advisable and proper, and to transfer the same and execute and deliver and give good and sufficient deeds of conveyance, bills of sale and/or proper documents therefor to any purchaser thereof. George P. Brauburger Address 611 Magie Ave., Elizabeth, N.J. The most revealing and interesting piece of information is in the very end of Friedrich’s will. “Seemingly, it would appear that I have preferred my daughter, Ida Frieda Fleischhauer, over my son and other daughters.” He felt that it was very necessary to explain why most of his estate, including the entire thermometer business and everything related to it, went to his eldest daughter Ida Frieda Fleischhauer. According to Friedrich, Ida worked “diligently and faithfully” for her father, knew the business thoroughly and all the while “received inadequate compensation.” This whole time I held the assumption that Franz, my 2x great-grandfather, carried on the family business. He was a talented glass blower, but the information from Friedrich’s will begs the question if Franz and his father held a tense relationship. Another important insight from this document is the indication that the Fleischhauer women were not interested in being domicile. Particularly because this occurred over 100 years ago when gender roles remained much more defined, Ida stands out as a progressive figure in my family tree. She is someone who was industrious, intelligent, and could hold her own with the men. All I can say to that is, go Ida! The 1892 New York State Census shows they lived in 28th Election District, but the schedule doesn’t provide a street address. One of their residences before moving to Hancock Street was 225 Woodbine Ave, as indicated by the 1897 Brooklyn City Directory. See Brooklyn, Kings County, New York, 1892 New York State Census, 38th Election Dist., 18th Ward, page 7, household of Fred Fleischhauer; Stephen P. Morse, “F….Directory,” (http://bklyn-genealogy-info.stevemorse.org/Directory/1897/f.html: accessed 19 May 2016), entry for Fred Fleischhauer. Queens, Queens County, New York, death certificate no. 3927 (25 Apr 1948), Frank Emil Fleischhauer, New York City Dept. of Health, New York, New York; Brooklyn Daily Eagle, Monday, 24 Sep 1923, p. 8, col.1; image copy, Fulton History (http://fultonhistory.com/Fulton.html: accessed 10 Apr 2016). “Estates Appraised – Kings,” The New York Times, 29 Jun 1924, page 30; image copy, ProQuest Historical Newspapers. “United States Passport Applications, 1795-1925,” database with images, FamilySearch (https://familysearch.org/ark:/61903/1:1:QKDF-6LCN : accessed 19 May 2016), Claude Williams Rattray, 1921; citing Passport Application, New York, United States, source certificate #147924, Passport Applications, January 2, 1906 – March 31, 1925, 861, NARA microfilm publications M1490 and M1372 (Washington D.C.: National Archives and Records Administration, n.d.); FHL microfilm 1,654,126. Brooklyn, Kings County, New York, 1920 US Federal Census, ED 1294, sheet 15A, household of Frederick Fleischhauer. “New York, Kings County Estate Files, 1866-1923,” database with images, FamilySearch (https://familysearch.org/pal:/MM9.3.1/TH-1-15281-32097-91?cc=1466356 : accessed 19 May 2016), Kings County > Fl > Fleischhauer, Hermine (1923) > image 2 of 13; Surrogate Court, Brooklyn. “New York, Kings County Estate Files, 1866-1923,” FamilySearch (https://familysearch.org/pal:/MM9.3.1/TH-1-15281-31604-68?cc=1466356 : accessed 19 May 2016), Fleischhauer, Hermine (1923), image 11 of 13. “New York, Kings County Estate Files, 1866-1923,” FamilySearch (https://familysearch.org/pal:/MM9.3.1/TH-1-15281-31604-68?cc=1466356 : accessed 19 May 2016), Fleischhauer, Hermine (1923), image 11-13 of 13. Brooklyn, New York, 1920 US Federal Census, household of Frederick Fleischhauer. “New York, Kings County Estate Files, 1866-1923,” database with images, FamilySearch (https://familysearch.org/pal:/MM9.3.1/TH-1-15245-25367-81?cc=1466356 : accessed 19 May 2016), Kings County > Fl > Fleischhauer, Frederick Leonhard (1921) > image 14-16 of 16; Surrogate Court, Brooklyn; “New York, Kings County Estate Files, 1866-1923,” FamilySearch (https://familysearch.org/pal:/MM9.3.1/TH-1-15281-31604-68?cc=1466356 : accessed 19 May 2016), Fleischhauer, Hermine (1923), image 11-13 of 13. “New York, Kings County Estate Files, 1866-1923,” FamilySearch (https://familysearch.org/pal:/MM9.3.1/TH-1-15245-25369-83?cc=1466356 : accessed 19 May 2016), Fleischhauer, Frederick Leonhard (1921), image 16 of 16. Genealogy is for those who love twists and turns. A day of research can take you to many places. I spent yesterday thinking deeply about my paternal ancestry, mainly the Fleischhauer family and have sought out to untwine the details of their legacy. Even a few records can evoke a story of high drama and hardship; such is the case of my 2nd great aunt Mildred Fleischhauer. While I know little of her personally, my research has begun to reveal a story of someone who desired a stable married life, but rarely got what she so desired. Mildred was born 7 Sep 1897 in Brooklyn, Kings County, New York to Franz and Meta (Ranken) Fleischhauer, my 2nd great-grandparents. The transcription of her birth record suggests she was born as Matilda, but she seldom used that forename if ever, because all the records have her named as Mildred, even from an early age. She first married a man named Lector Griffin. Lector had roots in the American South, he was born in Martin County, North Carolina on 25 Aug 1893. His exact origins are unknown, but as a young boy, he lived with his widowed mother Maggie Griffin and six siblings in the town of Hamilton, Martin County, North Carolina according to the 1900 US Federal Census. In his adult life, he worked as a salesman and married Mildred Fleischhauer on 31 May 1916 in Brooklyn, Kings Co., New York. The couple soon after moved to Hagerstown, Washington County, Maryland where they had two children, Frances Clark and Arthur Winton Griffin. These two boys were raised without their biological father. The Griffin boys stayed in New York with the Fleischhauers until adulthood. In the 1920 Census, they lived with their grandparents, Franz and Meta Fleischhauer, in Queens, New York, along with their mother Mildred Griffin, who said she was married. However, where was husband Lector? A search of the 1920 Census led me to Lector boarding in the YMCA dormitory in Newark, New Jersey. The exact circumstances remain unknown, but in those days, the YMCA was an institution where people went who suffered from poverty or intemperance. Maybe Lector felt the need to leave because he wanted to alleviate his family from any burden of his own doing. Lector Griffin moved on from Mildred and their two children, heading back into the deep south. In 1942, his WWII Draft Registration Card shows him residing in Beaumont, Jefferson County, Texas and he passed away 9 Nov 1976 in San Antonio, Bexar County, Texas. His records show he remained his life as a salesman and was divorced at the time of his death. By 1930, Mildred had found another chance with a man named Charles Milton Seacombe. Charles had married once before to an English woman named Laila Annie Jones. In the 1910 Census, his occupation is listed as a railroad conductor, but soon after, he worked for himself as an auto mechanic. Mildred and Charles were married sometimes in the 1920s, but an exact marriage remains unknown at this point. The 1930 Census has Charles Seacombe and Mildred living together at 259 Jericho Turnpike in Mineola, New York, with one of Mildred’s sons from her former marriage, Frances Griffin. Arthur Winton stayed with his grandparents in Queens. I can only imagine how difficult it was for Frances and Arthur (who went by Winton) to have been split apart as brothers. Even if the distance between Mineola and Queens wasn’t great, the fact that they were split apart suggests to me some kind of hardship. Whatever semblance of peace and stability that existed from Mildred’s second marriage was short lived. In 1940, Mildred is not only back with her parents, but under a new married name, this time Gelbach. Where was the husband this time? According to family sources, he was identified as Benjamin Lee Gehlbach, but my own research indicates that he went by just the name Lee. Lee Gehlbach was born 1902 in Illinois to Henry Gehlbach and Alice May Bruce. He died in 1975 and is buried at the New Union Cemetery in Lincoln, Logan County, Illinois. The surname Gehlbach isn’t exactly an easy one to search, therefore a genealogist should employ some flexibility. Less is more in many cases and Using the 1940 Census database on family search, when I did a non-exact search of Gehlbach, born 1901 – 1905. Dropping the place of birth turned out to be the key, because there was Lee Gelbach, a married man born 1902 in New York, listed in Sing-Sing Prison! Poor Mildred struck out again! Warden standing in hallways of Sing – Sing Prison. Image Source: Wikimedia Commons. I imagine she got tired of the New York life and at some point decided to relocate to the pastured landscapes and country life of New England with her fourth and final husband, Victor J. Brewer. They lived in a colonial home in Castleton, Vermont, built in the 1700s, but which they had renovated sometime in the 1970s. I guess Mildred found happiness after all. Victor worked as an engineer for the Holmes Electric Company and passed away 5 June 1984 at the Rutland Community Hospital. The Brewer Home in Castleton, Vermont. The story of my 2nd great-aunt Mildred Fleischhauer presents many more questions. I’m sure that if I were to find divorce proceedings that the nature of these relationships could be fully understood. The names of the husbands were identified on a cousin’s family tree, but how did she get that information? While the marriages are unverified by the vital records, other genealogical sources, in particular the federal census, provide circumstantial evidence that piece together the narrative and prove all the previously known facts to be correct. Tracing the life history of the Fleischhauers has proven to be very exciting, reminding me of what brought me to genealogy in the first place. Whether the facts are hard to swallow or envelop oneself with a deep sense of pride, what matters for me is understanding the details of my family history and it’s legacy. It’s important because in the process, I better understand my own identity and can learn or reflect on their experiences. As one final note, all the research in this post was completed through free records, proving that you can climb your family tree and discover your past for little to no cost! “New York, New York City Births, 1846-1909,” database, FamilySearch (https://familysearch.org/ark:/61903/1:1:2W7K-FRD : accessed 9 May 2016), Mathilda Fleischhauer, 07 Sep 1897; citing Birth, Brooklyn, Kings, New York, United States, New York Municipal Archives, New York; FHL microfilm 1,324,435. “Texas Deaths, 1890-1976,” database with images, FamilySearch (https://familysearch.org/ark:/61903/1:1:K3FN-ZRF : accessed 9 May 2016), Lector Griffin, 09 Nov 1976; citing certificate number 81054, State Registrar Office, Austin; FHL microfilm 2,243,982. Hamilton Township (part), Martin County, North Carolina, 19001 US Federal Census, FHL film 1241204, ED 68, page 3B, household of Maggie Griffin. “New York, New York City Marriage Records, 1829-1940,” database, FamilySearch (https://familysearch.org/ark:/61903/1:1:24Q6-218 : accessed 9 May 2016), Lector Griffin and Mildred D. Fleischhauer, 31 May 1916; citing Marriage, Manhattan, New York, New York, United States, New York City Municipal Archives, New York; FHL microfilm 1,614,504. “United States World War I Draft Registration Cards, 1917-1918,” database with images, FamilySearch (https://familysearch.org/ark:/61903/1:1:KZ8F-4CX : accessed 9 May 2016), Lector Griffin, 1917-1918; citing Washington County no 1, Maryland, United States, NARA microfilm publication M1509 (Washington D.C.: National Archives and Records Administration, n.d.); FHL microfilm 1,684,871. Assembly Dist. 4, Queens County, New York, 1920 US Federal Census, roll 1234, ED 322, p. 21B, household of Frank E. Fleischauer. Young Men Christian Association, Ward No.2, Newark, Essex County, New Jersey, 1920 US Federal Census, roll 1031, Ed 103, sheet 10A, line 18. “United States World War II Draft Registration Cards, 1942,” database with images, FamilySearch (https://familysearch.org/ark:/61903/1:1:XPRQ-X6Y : accessed 9 May 2016), Lector Griffin, 1942; citing NARA microfilm publication M1936, M1937, M1939, M1951, M1962, M1964, M1986, M2090, and M2097 (Washington D.C.: National Archives and Records Administration, n.d.); “Texas Deaths, 1890-1976,” database with images, FamilySearch (https://familysearch.org/ark:/61903/1:1:K3FN-ZRF : accessed 9 May 2016), Lector Griffin, 09 Nov 1976; citing certificate number 81054, State Registrar Office, Austin; FHL microfilm 2,243,982. Ward No. 4, Queens, Queens County, New York, 1910 US Federal Census, roll 1065, ED 1263, page 24B, household of Charles Seacombe. Mineola, Nassau County, New York, 1930 US Federal Census, roll no. 1626, ED 147, page 22A, household of Charles Seacombe. Hollis, Queens County, New York, 1930 US Federal Census, roll 1601, ED 401, p. 9A, household of Frank Fleischhauer. Data Entry and Photo for Lee Gehlbach, New Union Cemetery, Lincoln, Logan County, Illinois, Findagrave.com, memorial no. 23506233. Sing-Sing Prison, Ossining Village, Westchester, New York, 1940 US Federal Census, Roll 2811, ED 60-256, page 28B, line 48. “Vermont Vital Records, 1760-2008,” database with images, FamilySearch (https://familysearch.org/pal:/MM9.1.1/KF5R-KFF : accessed 9 May 2016), Victor J Brewer, Death, 05 Jun 1984, Rutland, Rutland, Vermont, State File No. 84-001928. “Brasil, Cartões de Imigração, 1900-1965,” database with images, FamilySearch(https://familysearch.org/ark:/61903/1:1:27FK-429 : accessed 10 May 2016), Frank Calvin Griffin, Immigration; citing 1942, Arquivo Nacional, Rio de Janeiro (National Archives, Rio de Janeiro). The benefits of genealogy are not only to discover your ancestors, but also to make new friends along the way. I am grateful to be working with knowledgeable people, but also inspire beginners to pursue their research. Yesterday I ran a table at the town fair in Shirley, Massachusetts, which happened to be my home for 15 years. It was wonderful explaining to people why genealogy is a wonderful form of self-enrichment and seeing them so interested. I have had a great time lecturing this month and attending local conferences and society meetings. Check back often for new resources and templates I will be uploading to my “Publications” page, so it’s more like a research toolbox for others to use freely. Next month, I am presenting an Introduction to Genealogy at the Shirley Historical Society. The presentation is scheduled for Saturday, May 14 @ 7:00pm. In June, I begin my continuing education journey in genealogy with the ProGen Study Group, an 18 month course that is designed around Elizabeth Shown Mills’ book Professional Genealogy: A Manual for Researchers, Writers, Editors, Lecturers and Librarians. I have only heard alumni say it was extremely beneficial and so I am eager to begin this opportunity. Are you a researcher looking for extra help? Do you find yourself unable to attend the workshops and presentations that our held in your local community? I am happy to work with you and provide some undivided time to help you gain research skills. For $35 per session or $125 for four, it is a highly affordable option for developing life-long skills to enhance your genealogy aspirations! If you’d like to know more, send me an e-mail at jfletcherfamilygen@outlook.com. 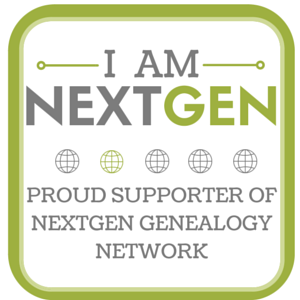 I enjoy touching on a diversity of genealogy topics with my posts for Legacy News. In “Using Researching Logs Effectively in Genealogy,” I explain the benefits of documenting every search and broke down how my own template as to how I capture the details of what I’m looking for and how I find it. Many of us like to know more about our ancestors beyond just vital statistics. My post “Adding Historical Context to Your Ancestor’s Life” explains what sources can add greater depth and context to the story your ancestors. You can access a back log of all my Legacy News posts by clicking here. Up until the end of the War of 1812, the Royal Navy took many American merchant seamen sailing the high seas. England was at the time a global empire that heavily relied upon its navy and would go to controversial measures to recruit manpower. The British had declared war on France in 1793. This conflict necessitated the need of able seamen, so the British press gangs would board American ships to impress or forcefully recruit Americans. These often-violent acts were veiled under a thin justification that they were taking back British seamen who deserted the Royal Navy. Impressment caused outrage in the United States; interpreted as an assault on basic human rights and liberties. Applications Made By David Lenox, Agent For The Relief of Impressed Seamen, NARA Microfilm M2025, Registers of Applications for the Release of Impressed Seamen, 1793-1802, and Related Indexes. Reproduced at NARA Boston. The overall outcome of the application. The use of National Archives records can provide a document that connects your ancestor to an important moment in early American history. These microfilm rolls have not been digitized and can only be accessed at certain branches of the National Archives (Boston, Washington). Click on the links to download a more detailed description of each roll provided by NARA. “Fleshing Out the Details of the Flesichhauers [part 1], ” posted 28 Apr 2016. “Bartholomew Oliver’s Master Mariner Certificate,” posted 21 Apr 2016. “2016 MGC Conference: What I Learned About Genetic Genealogy from CeCe Moore,”posted 19 Apr 2016. “25 Favorite Free Genealogy Websites,” posted 11 Apr 2016. “Getting The Facts Right: Ancestors Who Amended the Records,” posted 8 Apr 2016. “Genealogical Research in Minutes of Annual Town Meetings,” posted 2 Apr 2016. Shakeeb Asrar. “Online database of Holocaust victims hits 1 million records,” USAToday, posted 8 Apr 2016. Shared by Salt Lake Institute of Genealogy. Zachary Garceau. “ICYMI: Historic Occupations,” Vita Brevis, posted 19 Apr 2016 (originally written 12 Apr 2014). Shared by New England Historic Genealogical Society. Judy G. Russell. “The name game,” The Legal Genealogist, posted 6 Apr 2016. Shared by Judy G. Russell. Emily Kowalski Schroeder. “Learning About The Census,” Growing Little Leaves: Genealogy for Children, posted 27 Apr 2016. Shared by Tessa Keough. Luke Spencer. “Exploring America’s Largest Collection of Early Tavern Signs,” Atlas Obscura, posted 22 Apr 2016. Shared by Connecticut Historical Museum and Library. “William Kidd, the Pirate Who Was Framed,” New England Historical Society, posted 6 Apr 2016. Shared by New England Historical Society. For a long time, I’ve been intrigued by the Fleischhauers and the fact that in their records, they described themselves as glassblowers and manufactured thermometers. In my own family tree, it is a unique trade, but also shows an aptitude for science, chemistry, and craftsmanship. It also represents a dedication to an small enterprise when large manufacturing companies provided stiff competition against artisans and small businesses like those of the Fleischhauers. My curiosity led me to investigate this from many angles and how it shaped their experience of leaving Germany to seek out opportunity in New York City. My great, great grandfather Franz Emil Fleischhauer left for American in 1890 with his parents, Friedrich and Hermine (Hiegersell), and two sisters, Ida and Annie. The emigration papers for Franz, shown above, state he was born 10 May 1873 in the village of Stüetzerbach. He received permission to emigrate from Prussian officials in the city of Erfurt on 14 June 1890. Stüetzerbach lies in the Ilm-Kreis district of the German state of Thuringia. Map of Thuringian States . Source: Wikimedia Commons. I quickly learned that the connection to glassblowing and the creation of medical instruments was not a coincidence, but a trade deeply connected to the area of Germany in which they originated. Stüetzerbach was a central hub for innovation in the manufacturing of glass, responsible for the first German thermometer, lightbulb, x-ray tube, and vacuum flask. It is certain that the Fleischhauers were working with the top of their industry. The deep traditions of glass manufacturing in Stüetzerbach dating back to the 17th century suggests why they wouldn’t give up their employment as artisans to work for larger manufacturing companies. A glassblower in his studio. Source: Wikimedia Commons. I created tables showing chronologically where the Fleischhauer family lived in New York and what they stated for occupation, because there are subtle differences. They did move several times within the five boroughs, so it helped me to better organize the data I had collected. This information also demonstrates that a diversity of genealogical sources that can tell you something about what occupation your ancestor held. Friedrich Fleischhauer 1900 Glass Engraver 1900 US Federal Census, Brooklyn, Kings, New York, roll 1067, Ed 517, page 10A. Franz Emil Fleischhauer 1905 No occupation 1905 NY State Census, Brooklyn, Election Dist 24, Block C, 20th Assembly District, page 26. Franz Emil Fleischhauer 1920 Thermometer Manufacturer (runs own business) 1920 US Census, Queens, New York, roll 1234, ED 322, p. 21B. Friedrich Fleischhauer 1906 1188 Hancock St., Brooklyn Naturalization Petition. Franz Emil Fleischhauer 1898 138 Grove St. , Brooklyn Naturalization Petition. Franz Emil Fleischhauer Sep 1905 89-36 187th place, Queens (husson and prospect ave.) “Schoolboy Killed in Train Accident.” Brooklyn Daily Eagle, Tue 19 Sep 1905. Franz Emil Fleischhauer 1930 89-36 187 Place, Queens 1930 US Federal Census, Queens, New York, roll 1610, ED 401, page 9A. Some of the Brooklyn City Directories showed that Franz had a place of business at 111 Himrod St. in Brooklyn from 1903 – 1908. The only clue I could find about this address was that a gold pen maker named F.M. Stark ran his business here at the same time as Franz Fleischauer. How well off were the Fleischhauers for a family owned small business? The census records may provide some insight to their success, because as genealogists know, the US Census required the head of household to provide information about their income and property. Homeownership was valued greatly among Germans and when they arrived in the U.S., sought to buy a home as soon as possible. The 1900 US Census shows that within a decade of living in their adopted homeland, the Fleischhauers were homeowners living at 157 Cornelia Street in Brooklyn. In 1920, having moved to the borough of Queens, they also owned their home at the corner of Husson and Prospect Ave., which is today 89-36 187th Place. In 1930, the same home was valued at $15,000, which was well above average compared to other homes in their neighborhood. The depression surely had an impact, but to my surprise in the 1940 Census, the Fleischhauers still managed to own their home. However, the value had dropped to $9,000. Evidence suggests that the Fleischhauers were able to keep themselves afloat as self-employed people. The Fleischhauer family’s aptitude for making glass instruments carried on to there children. My great-grandfather Frank Fleischhauer (1895-1991) also made thermometers and other glass instruments. He was particularly bright and studious, practicing academics till the end of his days and had an affinity for repurposing another man’s trash into his own treasure. He graduated from the Pratt Institute in 1929 with an award for proficiency in chemistry. Frank Fleischhauer’s certificate from the Pratt Institute for completing the Evening Course in Technical Chemistry. The best part of the story is that when my cousin found my blog and contacted me, I received a wealth of family papers, photos, and heirlooms concerning the Fleischhauers, including the actual thermometers they manufactured. While I don’t know their exact provenance, I can say they are connected to a deep heritage of glass making and represent an important part of my paternal family history. Thermometers manufactured by the Fleischhauer family. “New York Passenger Lists, 1820-1891,” database with images, FamilySearch (https://familysearch.org/pal:/MM9.1.1/QVPJ-7QZH : accessed 29 April 2016), Franz Fleischhauer, 10 Jun 1890; citing NARA microfilm publication M237, roll 549, list no. 816, passenger no. 525-29, (Washington, D.C.: National Archives and Records Administration, n.d.). There appears to be a discrepancy on the date Franz received permission to emigrate (14 Jun 1890). According to the passenger manifest, he would have arrived 4 days before he received permission to emigrate (10 Jun 1890), so the dates wouldn’t make sense. Walden’s Stationer and Printer (New York, NY), 25 Jan 1904, page 4: accessed at Google Books. Mr. Stark noted in response to the author’s query regarding his business that production had sorely outgrown the size of the facility and was looking for more room. The Advocates for Human Rights. “Immigration Library – German Immigrants to the United States,” (accessed at http://www.energyofanation.org/4e667f77-e302-4c1a-9d2e-178a0ca31a32.html?NodeId=: 28 Apr 2016). Brooklyn, Kings, New York, 1900 US Federal Census, roll 1067, ED 517, p. 10A, household of Frank Fleischauer. Assembly Dist. 4, Queens County, New York, 1920 US Federal Census, roll 1234, ED 322, p. 21B, household of Frank E. Fleischauer. Steve Morse’s website provides a list of all the street name changes in Queens. See Steve Morse, “Street Name Changes* in Queens, New York,” (accessed at http://www.stevemorse.org/census/changes/QueensChanges2_161to271.htm: 28 Apr 2016). Hollis, Queens County, New York, 1940 US Federal Census, roll 2740, ED 41-1075, p. 6A, household of Frank Fleischhauer. A couple months ago, I posted about finding Bartholomew Oliver’s ticket from the British Registry of Seamen through FindMyPast, an interesting document that showcases a glimpse of the shipping history in the British Isles. However, it was only a taste of the genealogy gold on my seafaring ancestor. Thanks to one of my cousins, I now have the Master’s Certificate for Bartholomew Oliver. Not only does it provide his date and place of birth, but includes details about all the voyages he undertook up to that time. Under the specifics of his service, it names the vessels, the capacity in which he served, and dates of the voyages. For me, it is a rich source of information and probes a few interesting facts about Oliver’s life. This document confirms he was in fact master of the brig St. John which wrecked off the coast of Cape Cod in 1849. Previous sources misidentify Capt. Oliver or fail to mention his first name, but now I have source to confirm that Bartholomew Oliver was commanding this ship when it endured massive carnage and loss near Cohasset Bay. I have a newspaper account to provide more details of his voyage on the Mariner, on which he served as First Mate from April 1842 to April 1844. The brig sprung a major leak and for days, Oliver and his crew had to funnel water out of the hull to keep it afloat, until an American bring John Baring encountered the Mariner and saved the crew. However, the crew of the John Baring were very much “jaded” after taking on the crew of the Mariner until it made it to port in New York 37 days later. The article states that the crew of John Baring sued Capt. Michaels for misconduct and “putting them on allowance”, which leaves me puzzled, considering as P. McDonough, master of the Mariner, said keeping his ship and its 23 men afloat was acting in the “most humane way.”  Apparently, the seafaring life rarely caught Bartholomew Oliver any breaks or ease in his transit across the Atlantic Ocean. “Galway Shipping Intelligence – Loss of the Mariner.” Galway Vindicator and Connaught Advertiser (Galway, Ireland), 9 Mar 1944, p.2. Between both of Bartholomew Oliver’s maritime documents, there are discrepancies in his year of birth. His register ticket states it was 1818, while the master’s certificate is 1820, both sharing the day of May 1st. However, the registers of St. Nicholas parish in Galway show a Bartly Oliver baptized on May 5th 1817 in presence of his parents Bartholomew and Sarah Oliver, so my inference is that Bartholomew was born 1 May 1817. I am thankful the Catholic parish registers are now online, thus allowing me to make this discovery. There are other Olivers mentioned in these sources, so it will take some more time before I post about the Olivers of Galway and determine their exact kinship. By the year alone, it would discount that Master Mariner Bartholomew Oliver is my 4th great-grandfather, but more likely a sibling of Denis James and John Bartholomew Oliver, the brothers who migrated to San Francisco, California. If born in 1817, he only precedes Denis by about 6 years and John, 12, which would be certainly too young to be the father. An important clue lies in the calendar of the will of Bartholomew Oliver, deceased 1834, who is also a mariner (described as pilot) and father of Bartholomew Oliver. It could be very easy to confuse the generations and mix up these two as the same individual. I look forward to digging up more clues about the Olivers in Galway, how they struggled in the seafaring life and to maintain order in the harbor against ruffians known as men of the Claddagh. This is some rich family history not to be overlooked! For those interested in researching these certificates, they are searchable through Ancestry.com on the collection, “UK and Ireland, Masters and Mates Certificates, 1850-1927.” These certificates were first introduced in 1845 as part of the process of examination for men of these capacities, but were not fully compulsory until 1854. Bartholomew Oliver was inspected before 1854 because in 1850, inspection was required of master mariners and mates involved in foreign trade. Originals of these certificates are held by the National Maritime Museum in Greenwich, London, UK. Copies can be made using this request form. Baptisms in Galway City, Bartly Oliver (5 May 1817), accessed at “Ireland, Catholic Parish Registers, 1655-1915” (online database, ancestry.com), image 8 of 44. My experience in genealogy has always dealt with records and historical research. I like to follow the paper trail. Admittedly, I have always shied away from DNA and genetic genealogy. Maybe because it was a field I did not really understand; I feel a bit overwhelmed by all the scientific jargon. It was never really a part of my comfort zone so to speak, but after attending talks given by Genetic Genealogist CeCe Moore at the Massachusetts Genealogical Council Conference, I am inspired to dive deeper into the world of genetic genealogy. Surely some of the chromosome mapping and analysis remains a bit over my head, but I did gain some good tips. I took my AncestryDNA around January of this year. Since then, I have barely touched my DNA page. Cece Moore explained that the word ethnicity estimates are a bit misleading, that really the proper term for the composition of one’s DNA is admixture, because ethnicity indicates a definitive culture and type of person, when our DNA is a much more complicated because of human patterns of migration and intermixing with different peoples. What was most revealing to me is that the ethnicity estimates presented in your pie chart on Ancestry DNA are the result of testers running your DNA sample 40 times and then taking the average, therefore the true percentage could fall within a very broad spectrum. When you’re at the Ancestry DNA homepage for your account, you want to click “See Full Ethnicity Estimate.” At that point, you reach a page that brings you the full pie chart and map highlighting the regions of the world that compose your DNA admixture. By clicking on each part of your pie chart represented in your DNA admixture, lets say “Western Europe,” it shows the actual range of percentages for that ethnicity region. While my pie chart says 71% Western European, it could actually be anywhere from 48%-94%. The Importance of Data Mining and Analyzing Your Matches’ Family Trees. The best part of taking a test from Ancestry DNA is locating close cousin matches, which I have several that are unfamiliar to me. CeCe’s talks prompted to start messaging all of these cousins, those who are removed less than four times. However, I am limited by the fact that I don’t personally subscribe to Ancestry. While I was trying to budget my expenses and not use a home subscription, I figured I could save some dollars using Ancestry at my local library. However, there is a huge difference in the abilities of Ancestry Library Edition and a regular subscription, particularly regarding DNA analysis and the ability to view family tress. To best understand my DNA matches, I need to be able to view their family trees and see what surnames and individuals correlate with my family tree. One free tool that is available is called GedMatch, which allows you to see what segment of your chromosome is shared between with two users who have matching DNA. It is a useful tool in helping to narrow in one what line of your family tree two individuals share a common ancestor. From the AncestryDNA homepage, click on “Settings.” On the right of that page, a menu for “Actions” is listed, including the action to “Download Your Raw DNA Data.” This is the data taken from your genetic code before it has been processed and synthesized by the testing company into the ethnicity estimates and results you receive on your account. I will be sure to write future posts on my experience with GedMatch, along with other tools for genetic genealogy, and how it helps me in my research. Use more testing companies to get the most out of your genetic genealogy research. As CeCe explained, every testing company has pros and cons. The size of their databases only depend on the users that purchase tests from them, so to ensure more thorough research, use all the testing companies. CeCe Moore sharing behind the scenes from the PBS Show “Finding Your Roots.” at the 2016 Massachusetts Genealogical Council Conference in Marlborough, Mass. While I’m still a beginner to the world of genetic genealogy, I am excited to incorporate this into my research more along with more familiar research methods. I always leave genealogy conferences with new perspective on how to conduct successful research! As CeCe stressed throughout her day of talks, exhausting the paper trail, but also utilizing DNA testing and genetic genealogy, can break major brick wall and add a lot of depth to our family history. Who doesn’t like free?! Knowing your family story shouldn’t be deterred by costly subscriptions and fees, so consider starting or continuing your genealogy journey with these 25 websites that offer information and resources at no cost. This is by no means considered to be a “Best Of” list, but rather free websites and databases that have helped me in my own experience. I’d like to hear from you about what other free sources would make your “Favorite” list. This post has been added to my “Research Toolbox” page and can be downloaded as a .pdf document. With over one billion records free from over 100 countries, there is no reason why family history cannot be accessible to anyone. FamilySearch.org is a great site for beginning your journey in genealogy. It is also a valuable tool for genealogy education because of the FamilySearch Wiki (https://familysearch.org/wiki), providing guides to county, state, and national records. These articles are very useful as a checklist of sources in your own project. Google’s capabilities for accessing information instantaneously is so powerful because the tools embedded in Google’s search operators are geared to think like researchers. Don’t overlook the other features of Google, including 25 million digitized books, scholarly journals, and newspapers in Google Books, Google Scholar and Google News respectively. In addition, Google Earth is an excellent tool for mapping out your family history. Search through the entire texts of thousands of genealogies, county histories, and more in the world’s digital public library. The collaboration of genealogists and volunteers has led to free searchable data for millions of headstones. Both these websites are a great place to start finding your ancestor’s burial information. You can even get involved; install the apps for either of these websites and upload local headstone photos straight from your smartphone. An excellent example of a database that meets the standards of genealogists. Rich information on Irish Families is available through databases for Irish Census Records (1901, 1911, and all surviving 19th century schedules,) Wills and Administrations, and the Tithe Applotment Books. Start here if you are researching the genealogy of African American families. This is a great site containing census records, marriage and death records, and extensive resources. The world’s largest library catalog offers you to find the contents of almost any library in the world. This is a great tool for researching and tracking down specific manuscript sources that may not be digitized online. Dr. Morse created an amazing website that serves the genealogy world in a number of ways. The power of this website is in it’s ability to retrieve better results from a number of large genealogy databases, when their own search operators may miss your ancestor’s data entry. This is a particularly useful site for researching passenger lists and immigrants to the U.S. The social media revolution changed forever how we connect. Facebook can not only help in facilitating contact with relatives, but many genealogy groups are administered by dedicated volunteers who would like to help answer your questions. 2015 witnessed a milestone in Irish Genealogy when the National Library of Ireland digitized 373,000 pages of Catholic parish registers from Ireland recording vital and religious events up until 1880. The U.S. Dept. of Veteran Affairs has uploaded burial information on veterans and their families located in National Cemeteries. Linkpendium is a great asset for searching the web’s free genealogical data. The site continuously indexes every family tree and genealogy web page appearing on the Internet. The Italian Genealogical Group is dedicated to furthering Italian family history, but has also made available to users databases for vital records and naturalization papers from all five boroughs of New York City. This is an excellent resource for anyone researching immigrant families in the greater metropolitan area of New York. Many brickwalls in genealogy are the result of not looking in the right place. Boundaries of states and their counties have changed overtime. This website uses AniMap software to re-draw historical boundaries and is an essential tool in figuring out the exact jurisdiction of a particular event in our ancestor’s life. Our ancestors living in America most likely left a paper trail of records from interacting with the Federal Government. Learn more about genealogical research at the National Archives and accessing Federal Records. An excellent website for research on Jewish families that live all around the world. Despite minor flaws, this website is an amazing feat because one man has digitized 34 millions of pages of newspapers that are fully searchable. Most of the newspapers are from New York, but other states are starting to come online as well. Find your patriot ancestor using the DAR’s genealogical research databases. Ancestor searches retrieve basic information on the soldier and users can retrieve potential sources in the DAR Records Committee Index. Your ancestor could very well have bought land from the U.S. Government. This website contains a database for federal land patents, providing users with coordinates of the land plot and a digitized copy of the original patent. Have deep roots in the Bay State? Try this website containing transcriptions of vital records for Massachusetts towns predating 1850. Massachusetts residents and individuals who work in Massachusetts are eligible for a free E-card from the Boston Public Library. This allows you to access to many research databases, including American Historical Newspapers dating back to 1690. Start here for genealogical research in Canada. They host an impressive array of databases including vital records, census records, deeds, passenger lists, military records, and biographical dictionaries. This is a community project run by volunteers, with pages organized by state and their under by county. This includes many abstracts and transcriptions of genealogical sources, but vary in scope and content depending on quality of the administrators for each county. The National Parks Service has gone to great lengths to transcribe the service records of Union and Confederate forces into a free online database. Start here to locate some basic information on your Civil War Veteran. For 20 years, Cyndi Ingle has graciously made available and maintained the largest directory of genealogical resources on the web. This is a great tool for finding websites and resources based on location, subject, and more! Surely we should be grateful and give thanks to all of our ancestors. After all, they are the reason we are here. However, genealogists should especially tip their hats to the ones who made sure the facts were right and submitted later corrections to any records. My great-grandfather Franz Julius Fleischhauer’s (later went by Frank) original birth certificate from the Department of Health in New York City states he was born the morning of 9 Apr 1895 by midwife at his parent’s residence. The record of Frank Fleischhauer’s birth named his parents as Franz Fleischhauer, who was at the time of the event 23 years and was a glassblower by occupation, and Meda Lang, 24 years of age. The record stood for over 50 years, until corrections were submitted by Frank’s mother. Meta’s affidavit provided two very important corrections to the original birth record, stating that Frank’s actual date of birth was April 5th, not April 9th, and that her maiden name was Meta Rankin not Meda Lang. A belated happy birthday to my great-grandfather Frank Fleischhauer! I have not yet ordered a contemporary copy of the birth certificate to see if it was amended with these corrections. The copy of Frank’s birth certificate in my possession was issued 5 Mar 1942. The affidavit came down to me through the family papers, so I’m not sure whether the affidavit remained on file with the NY City Dept. of Health. Thanks to my 2x great grandmother Meta and all the other ancestors who make sure the records have the correct facts! For that, I am definitely a grateful genealogist. Brooklyn, Kings County, New York. birth certificate no. 6192 (12 May 1895), Franz J. Fleischhauer; New York City Dept. of Health, New York, New York. The address at which Franz J Fleischhauer was born appears to be 360 Hamburg [?] in Brooklyn, however I could not confirm this address existed and is somewhat hard to decipher on the copy of the record. Brooklyn, NY., birth cert. no. 6192 (12 May 1895, Franz J. Fleischhauer. Affidavit by Meta Rankin Fleischhauer, 23 Aug 1951.